In 5 (really) SIMPLE STEPS! Get started with this free e-book & learn my top five simple strategies to build (big-impact!) healthy habits that’ll boost your health, melt away pounds and improve your life, for good! 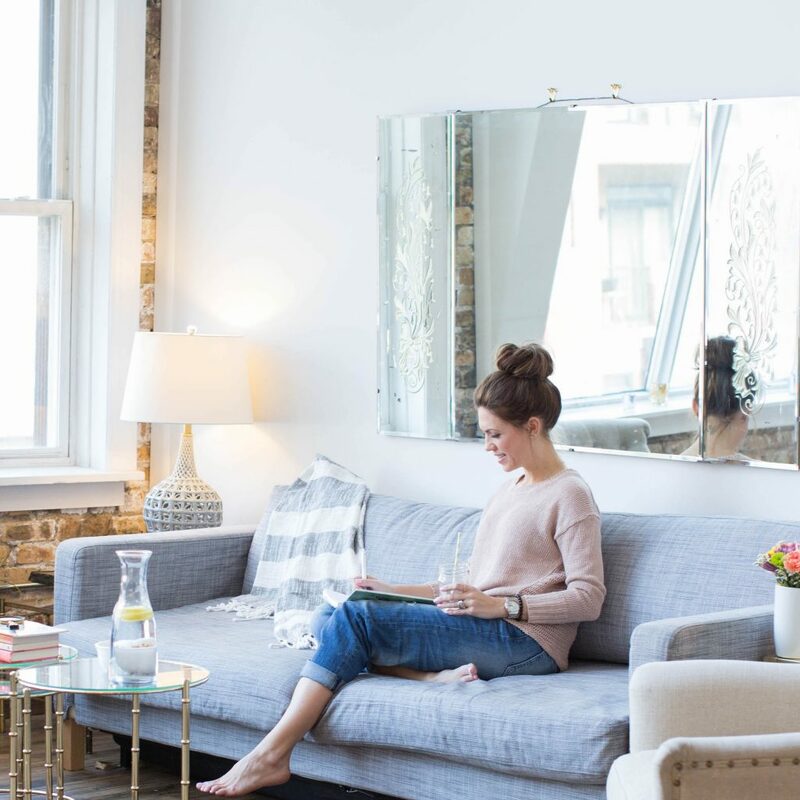 You’ll also get nourishing recipes, tips and videos delivered right to your inbox! 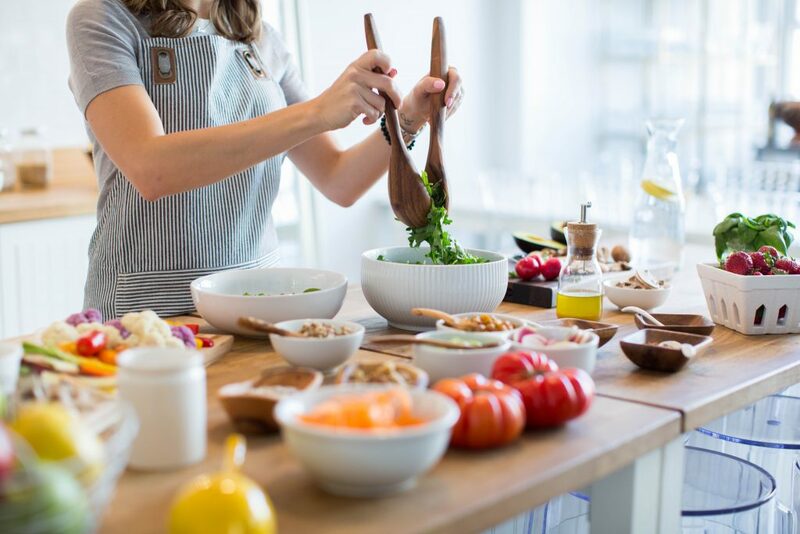 A health coach, plant-based chef, author and yoga teacher committed to helping you nourish your body, feel your best and create a life you love…easily, enjoyably and deliciously! I scheduled a meal-planning/cooking class with Vicki, thinking I’d get a few new recipes out of the meeting, but what I was given was SO much more! From the beginning Vicki took a very personal approach to my desire to make my meals more healthy by incorporating all my favorite, “can’t live without” foods like pizza and ice cream by sharing healthy versions of them that actually tasted good! I couldn’t believe it was possible and so easy! 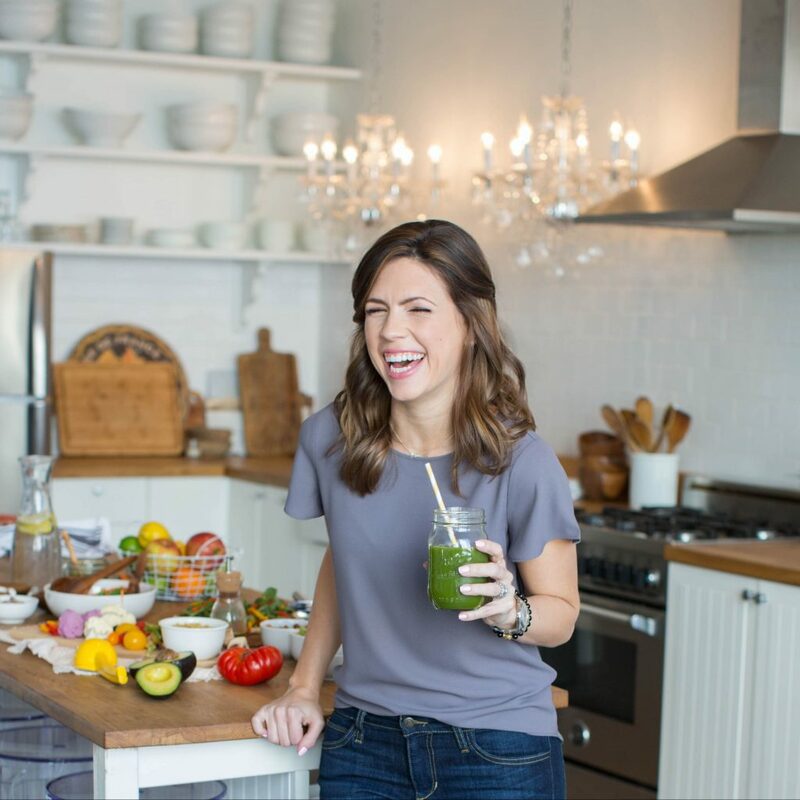 She went out of her way to create an entire toolbox of healthy tips and meals complete with all the recipes. It wasn’t long before I was making healthy meals that my family was raving about! 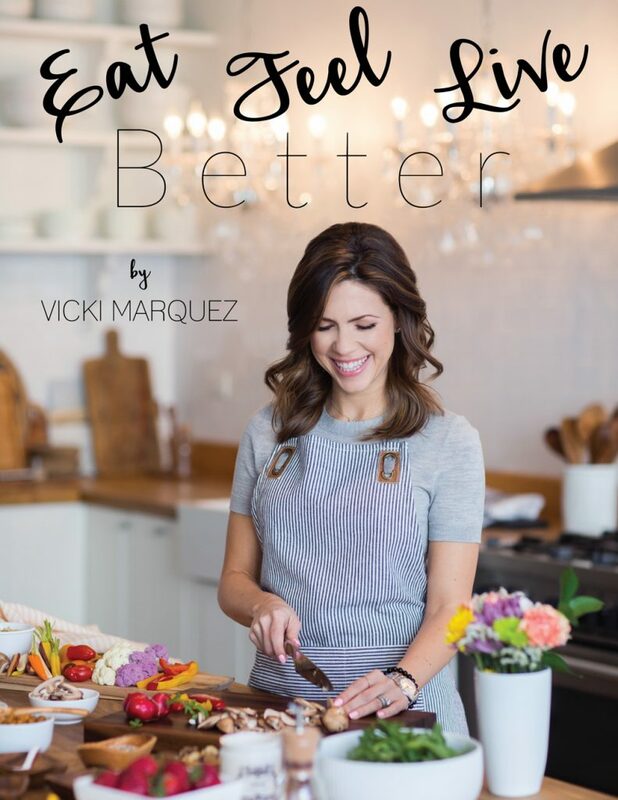 Thanks so much Vicki for making it so simple to create healthy and incredibly delicious meals for my family! I never thought I’d see the day when I couldn’t get enough kale! I am so grateful for Vicki Marquez, sometimes feel like she may have saved my life. I have had weight issues most of my life which has caused me many personal problems. My self-esteem has been shattered from so many failed attempts at losing weight. My personal relationships have suffered due to my insecurities and low confidence levels. Vicki has done so much more than help me control my eating habits. She has helped me realize that in order for me to succeed at my weight loss goals, I have to slowly change my lifestyle in a manner that works for me. More importantly she has helped me realize that I need to love who I am today and make these changes for myself, not others. I have a long way to go to reach my goals, but Vicki has helped me make changes that will last a lifetime. She has been there every step of the way and helped me learn how to pick myself up when I fall. She is truly special to me. WOW, I just did the Supermarket Savvy with Vicki and learned SO MUCH! I had no idea that sugar was in everything that I was eating, but I do now, because I am label and supermarket savvy! Thanks Vicki! I was enrolled in Vicki’s three month program and I loved every.single.minute of it that I just enrolled for another six months! Vicki has taught me to sort through the misleading information out there and understand what is right for me and my body. She is my biggest cheerleader and my number one supporter. I have lost weight, I sleep better AND now I am learning to listen to my cravings. I am so excited for the next six months and beyond. For decades now, literally decades, I’ve been giving food “power” to make a day better…or worse. I’ve jumped with both feet into fad diet after fad diet only to hate them quickly and readily weeks, or on a few occasions even months, into them. Finally I was ready to make a *lifestyle change* which is when I called Vicki. She asked the right questions. She made me look a lot deeper into my reasons for wanting to become healthy and empowered me to make the right decisions to move forward in a way that was at my pace and in my control. Before I knew it, I was sitting on an exercise bike thinking about broccoli. It’s true! I wasn’t placing unrealistic expectations on myself by making cuts, but rather, “crowding in” with better choices in food. I’m forever grateful to my health coach, Vicki, for being the angel on my shoulder every step of the way in this process. She’s unparalleled in what she does for her clients. I’ve always lived a very “all or nothing” lifestyle. And when it came to my eating habits this was certainly true. Unfortunately this led to me either starving myself in fear of eating “bad” foods or just eating everything insight without a second thought. Through meeting with and talking to Vicki she has really showed me how to create a balanced diet and in-turn a more balanced life. There are no words for the gratitude I feel for her. Vicki you truly changed my life. Vicki has been so supportive of my journey. She never preached or lectured. Her goals were always health-based, which I appreciate. I learned so much just from observing her nutritional choices. Now she is helping me to stay the course, remembering that this is a way of life. Thank you, Vicki, for travelling this road to health with me! Vicki has been so supportive and wonderful! Besides providing really great information and many a-ha moments, she also helped me reach my health goals in a very realistic and attainable way. Since I began working with Vicki, I’ve lost weight, I sleep deeper and more soundly, and I feel so much better! The biggest eye opener for me was that I had NO IDEA what eating clean and natural foods could and would actually do for me. By eating clean (which is actually pretty easy, I learned!) I not only feel amazing, but my mind and thoughts are SO clear and focused (it actually scared me at first because I didn’t know what was happening LOL) that I finally see things through a crystal clear lens. OH AND…. her All Day Energy Muffins are the bomb – even the kiddos are hooked!